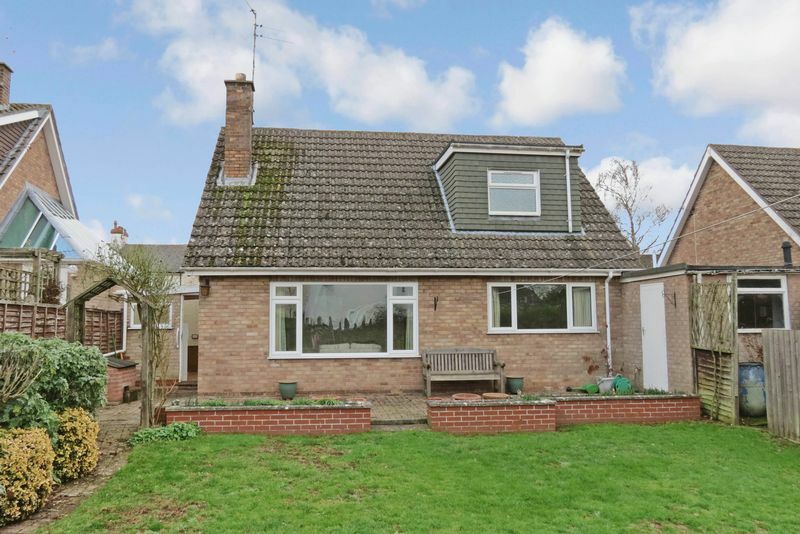 Pleasantly located this detached chalet style house has the benefit of a refitted downstairs shower room, but is generally in need of updating throughout. 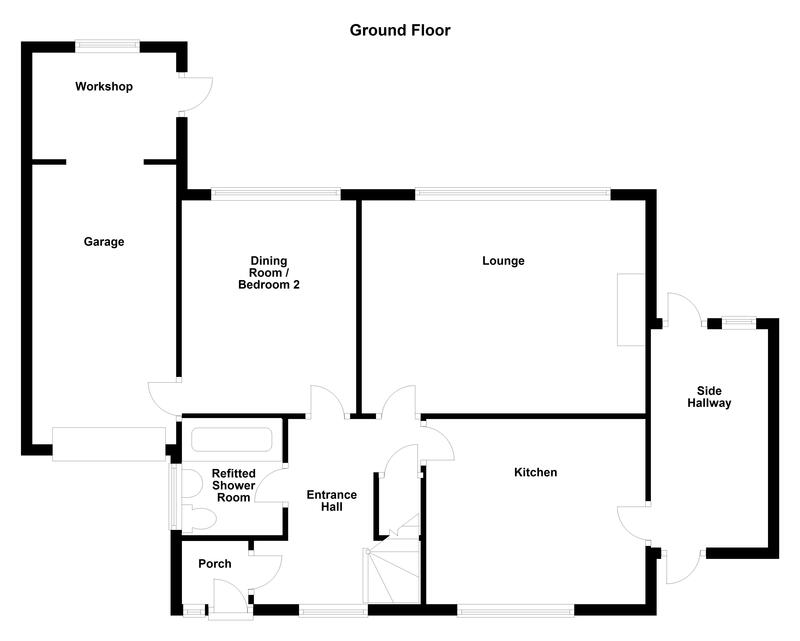 There are 3 bedrooms, with an ensuite upstairs to the master, a good sized lounge, and spacious kitchen. 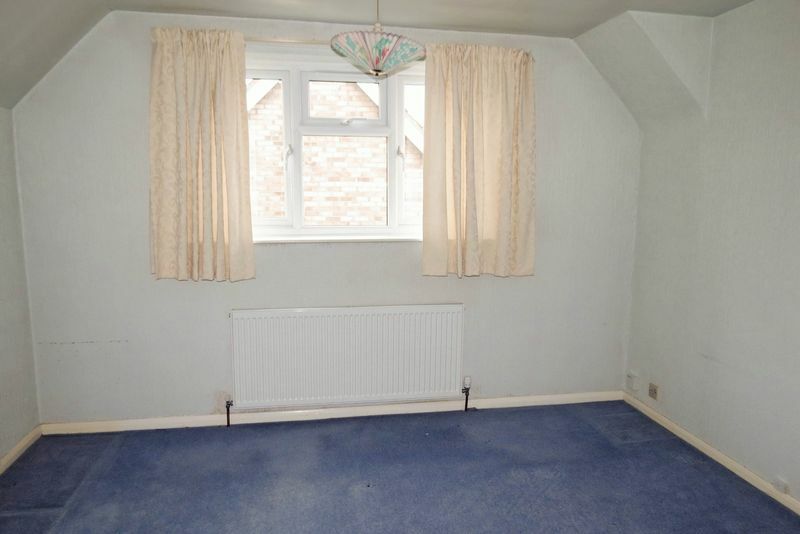 There is central heating, a single garage with workshop addition, replacement uPVC double glazing, and there is no chain. 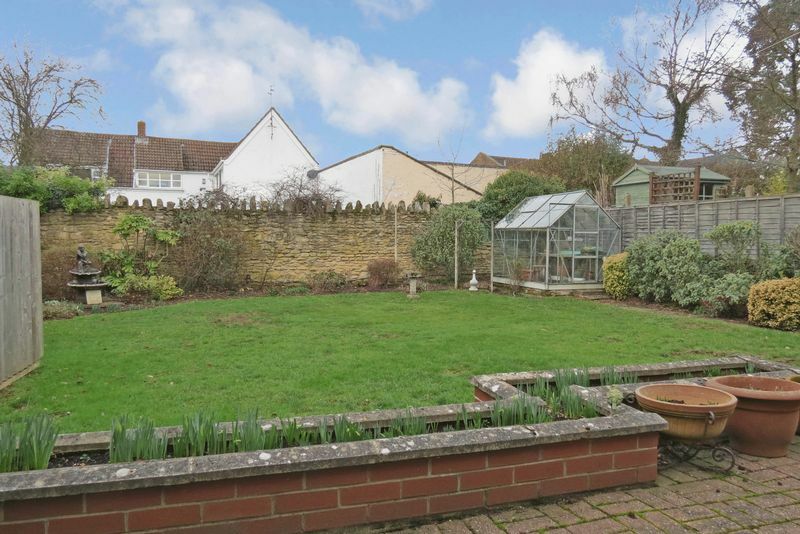 Lovely west facing rear garden. With entrance door, tiled flooring. 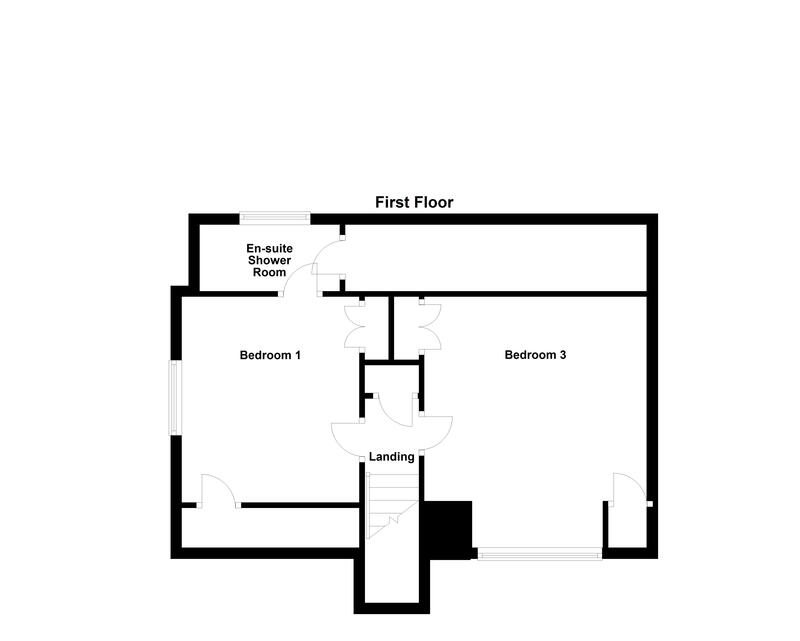 Window to front, radiator, telephone point, stairs to first floor, built-in under-stairs storage cupboard. 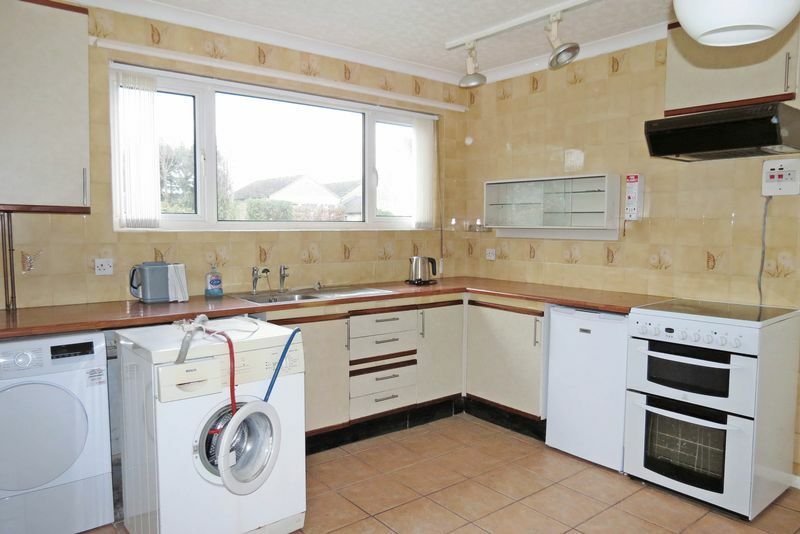 In need of refitting but fitted currently with a range of base and eye level units and cupboards with drawers, stainless steel sink unit with single drainer, plumbing for washing machine, electric cooker point, PVCu double glazed window to front, radiator, ceramic tiled flooring. 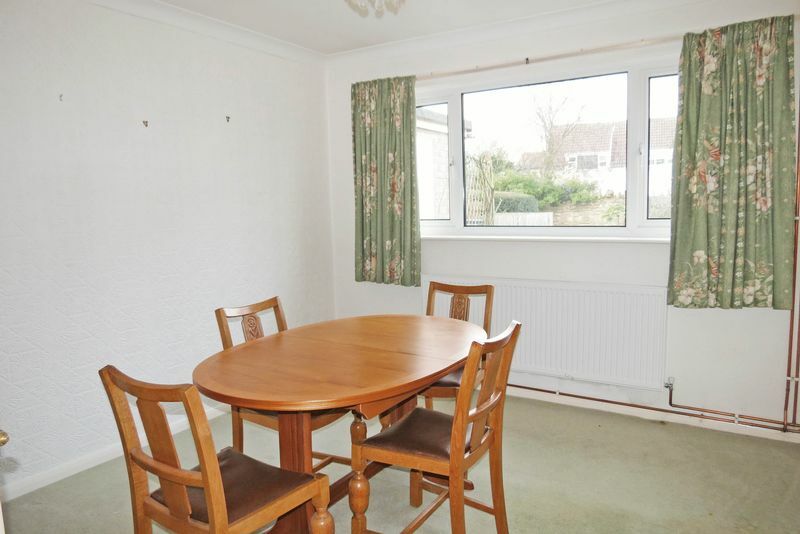 Window to rear, ceramic tiled flooring, half glazed door to front, half glazed door to garden. 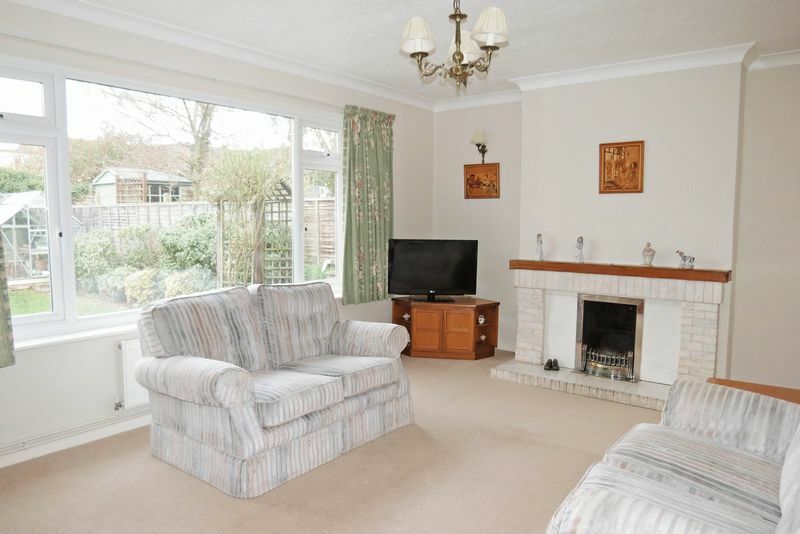 PVCu double glazed window to rear, open fire set in feature tiled surround, two radiators, TV point, wall lights. 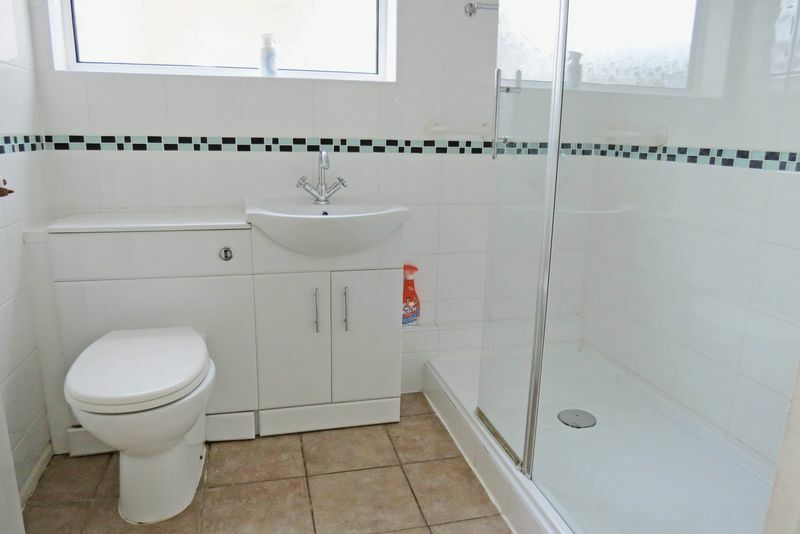 Comprising tiled double shower cubicle with fitted Mira shower, vanity wash hand basin with cupboards under, concealed flush WC, fully tiled walls, PVCu double glazed window to side, radiator, ceramic tiled flooring. Airing cupboard housing lagged hot water cylinder. 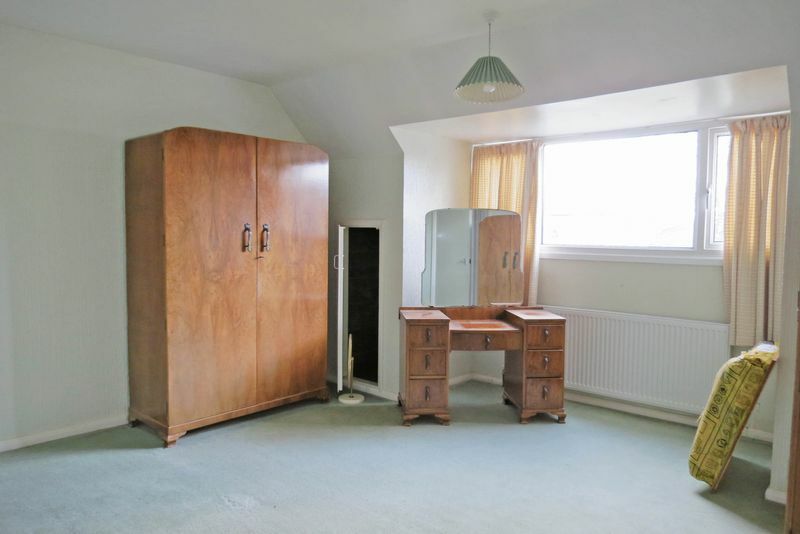 PVCu double glazed window to side, radiator, built in wardrobe cupboard, access to large eaves storage cupboard. 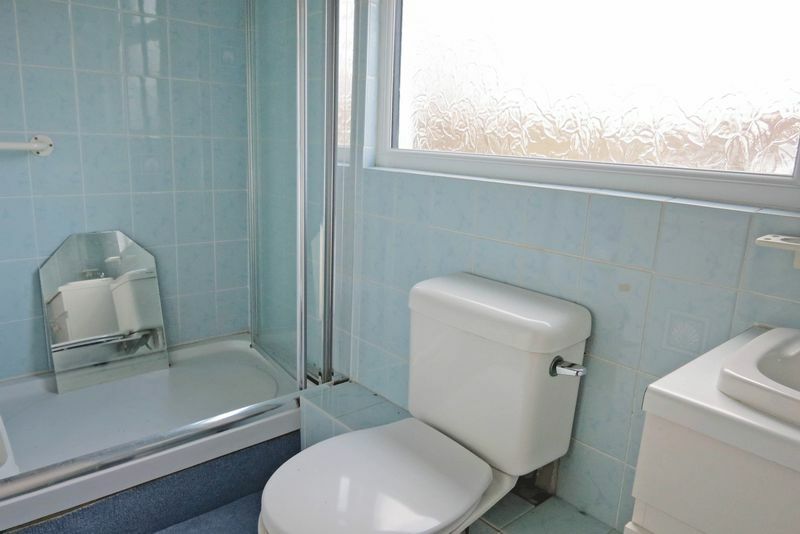 Comprising tiled shower cubicle with fitted electric shower, vanity wash hand basin with cupboards under, low-level WC, fully tiled walls, PVCu double glazed window to rear, radiator, access to large eaves storage cupboard. 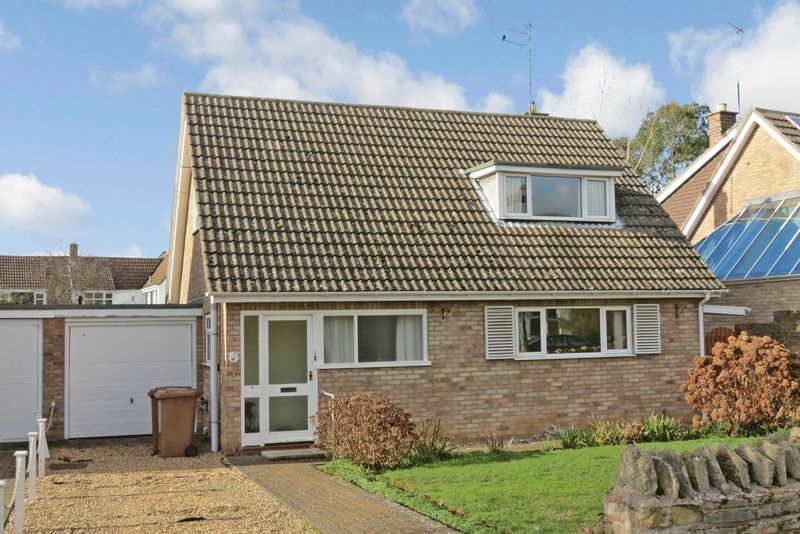 With window to rear, door to garden, oil fired central heating boiler. This is a lovely feature of the property with paved patio area, lawn beyond and with borders. The garden is south west facing, and has a stone walled western boundary.